We are the exclusive North and South American distributor for AntiDUSTtape—the breathable tape for your multiwall acrylic or polycarbonate sheeting. …of a strong non-woven material which is specially designed to adapt without difficulty to the expansion and contraction of multiwall sheets. 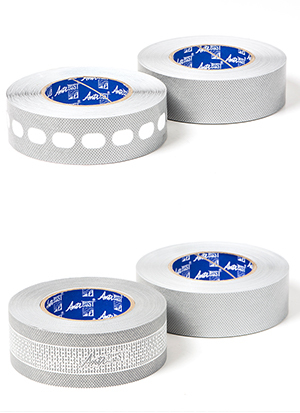 The tape adheres to the sheets with an especially modified acrylic adhesive for high-tack strength and cohesion. The adhesive is highly resistant to aging and is both moisture and temperature resistant. 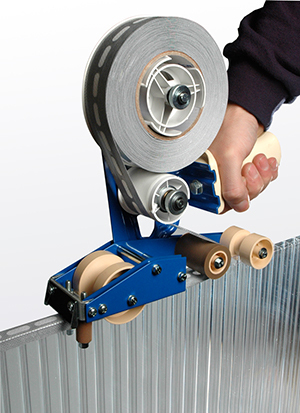 The tiny reinforcing welds in the non-woven material prevent the stretching of the fibers while under pressure. …and extremely easy to apply after the backing paper has been partly removed. The special acrylic adhesive is resistant to ultra-violet light and the unique combination of the tape’s plastic materials accommodate the thermal movement of the multiwall sheet. AntiDUSTtape is non-woven tape system used for sealing the top and bottom edges of multiwall polycarbonate and acrylic sheets. AntiDUSTtape is specifically designed to stop mold, algae, insects and dust from accumulating within the walls of multiwall polycarbonate and acrylic sheets.